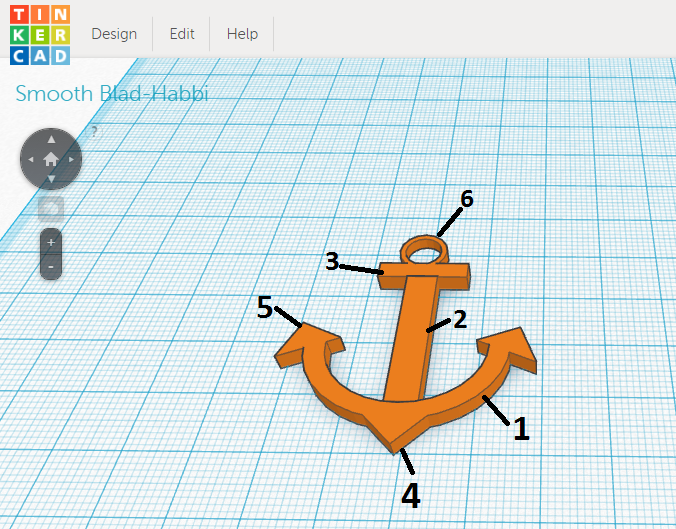 As part of a Geometry & Art ICT unit, we use the free online 3D design application, Tinkercad. 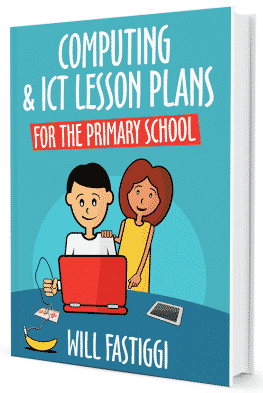 This is particularly useful for helping students to understand that all objects they see on a daily basis are made up of geometric shapes. 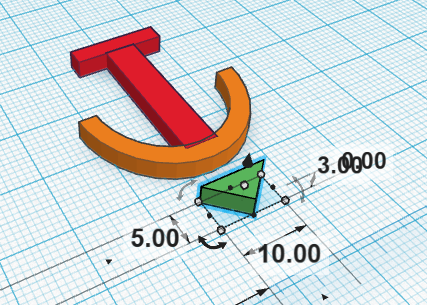 Tinkercad enables students to resize and merge various geometric shapes to design both familiar and new objects alike. 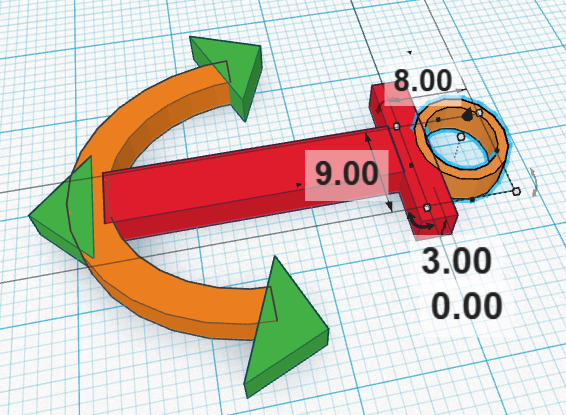 The activity below, which gets students designing an anchor, is a good introduction to Tinkercad. 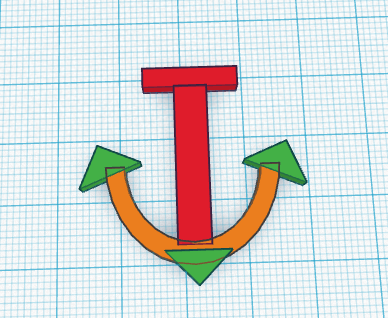 There are six main parts to designing this anchor in Tinkercad. 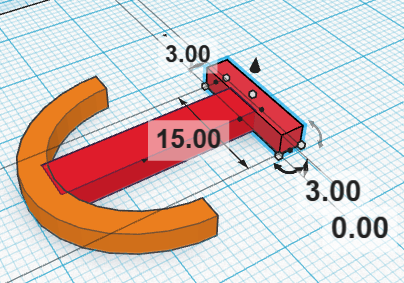 Select and drag the shape of “thin tube” onto the workplane. 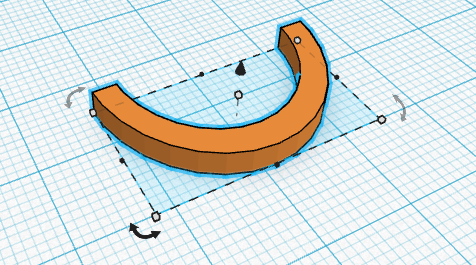 Scale the sides to the following dimensions: x = 27 mm, y = 32 mm, z = 3 mm. Click on the ‘box hole’ shape from the tab section named ‘holes’. Then, drag a new box hole halfway over the thin tube. 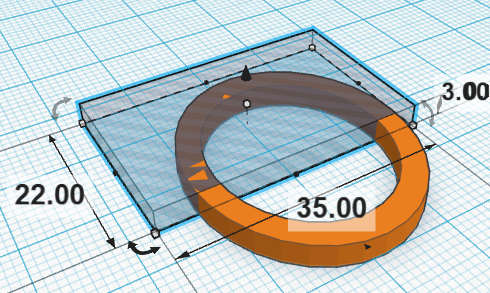 Adjust the dimensions of the box hole as shown in the picture: x = 35 mm, y = 20 mm, z = 3 mm. Select both shapes, ‘thin tube’ and ‘box-hole’. 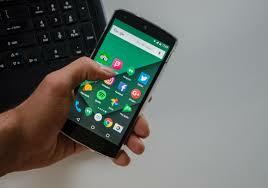 (To do this, hold down the shift button whilst clicking on both shapes with the cursor.) While both shapes are selected, click on the ‘group’ icon at the top of the page. As soon as you do this, the part of the tube that is hidden by the box hole will be erased. Next, add a ‘box’ shape to the workplane. 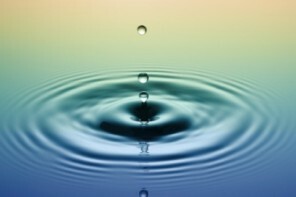 The sizes should be defined as: x = 35 mm, y = 25 mm, z = 3 mm. Place the box in the middle of the tube (part 1). 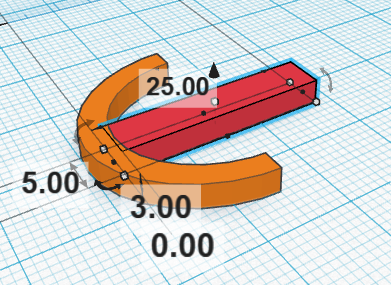 Add another box with different dimensions: x = 15 mm, y = 3 mm, z = 3 mm. Place the new box (part 3) to the edge of the previous one. Add a ‘roof’ shape (part 4). Place the roof as it is merged into the tube. The sharp edge of the roof should be kept out of the tube. Add a new thin tube (part 6) to the workplane. Resize the tube and merge with part 3 as pictured. Finally, press Ctrl + A to select all shapes, and then click ‘Group’. 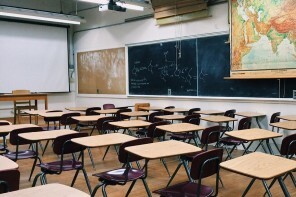 As an extension, ask the students if they can redesign the anchor to include four legs instead of just two. 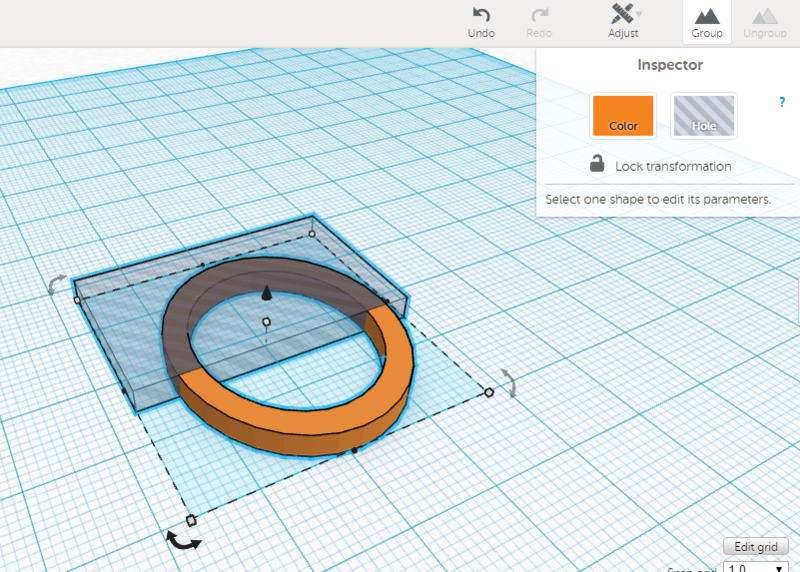 If you have access to a 3D Printer, the designs created in Tinkercad can be 3D printed. 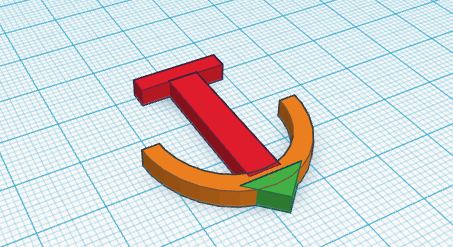 To do this, first click the design menu, then select ‘Download for 3D printing’. 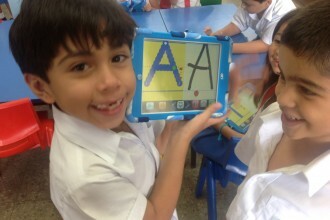 A warning window will then appear on the screen. Click the option ‘.SLT’. This is the 3D file type that most 3D printer brands recognise. 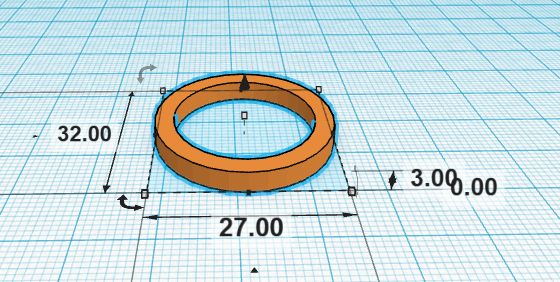 Once downloaded, you can open the 3D file on your 3D printer’s software.